In our research, we actually learned some cool facts about memes. For one, memes have been around since before the internet. Yes, we were surprised, too. Were people just hand drawing dogs in sunglasses and cats holding cheeseburgers and passing them around? Basically, it’s an idea or behavior that spreads quickly from person to person so it is “reproducing” itself like genes do. So, for example, back in the old days, T shirts were once considered unacceptable to wear in public (they used to be thought of us underwear and you would never walk out of the house in underwear). But then a couple people started doing it anyway—specifically, members of the navy started doing it. And the idea caught on like wildfire. Cut to today where essentially every person on earth wears T shirts in public and even those who aren’t wearing T shirts would never look twice if they saw someone else doing it. History aside, memes are just another one of the quirky advantages of being a human. On the internet, they have turned into a pretty crazy phenomenon that brightens up our days (and our computer screens). A time honored classic and a super versatile meme, the most interesting man in the world is perfect for a T shirt. You can use one of your favorite quotes from this meme or make your own according to the meme’s formula. This is another great meme to put on a T shirt because, with the right quote, it can become relevant in so many situations. Life can often be confusing and when you feel like your eyes are quite squinty enough to adequately convey your confusion, let Fry take over for you. In 2016, a Text from Hillary meme shirt is not only super relevant, it’s almost essential. Customize the quote of the text to suit your political views. This is versatile enough to become unforgettable pro-Hillary fashion item or an awesome anti-Hillary T shirt. Either way, you are going to have the last word in any political debate. Now imagine how awesome it would be to express that feeling to the whole world by wearing it on your shirt? Back in 2009, a humble photographer trying to win a National Geographic contest was snapping a few pictures when suddenly. 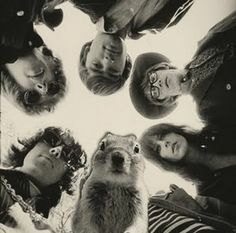 A squirrel photobombed what could have been his winning shot. That sassy little squirrel instantly became a meme that was photoshopped into various historical photos, famous paintings, and other places he didn’t belong. Adding him to a T shirt so that he peeks out of your jacket or stands in front of a photo or painting of your choosing would make for an unforgettable T shirt. Our most humble of celebrities, Kanye West, became a meme of his own (also in 2009) when he famously interrupted a speech at the MTV awards show. That image of Kanye West as he interrupts and says “Imma let you finish” would be perfect by itself on a T shirt or paired with the quote as well. You may not recognize the name but you will recognize the man. 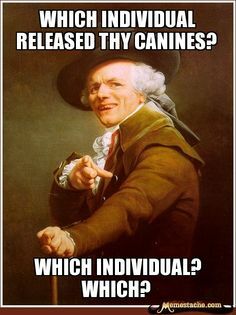 He’s the 18th century white haired gentleman that takes popular song lyrics and translates them into archaic, unnecessarily complicated English. Translate your own favorite song lyrics and get this dashing gentleman printed on your own custom T shirt! Sometimes our own face is just not flexible enough to express the depth of emotion we feel inside. 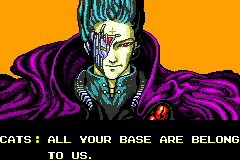 Rage Guy is here to help. The shock and anger in his eyes have helped you react to things on the internet for the last 8 years. Now you can get him printed on a T shirt so that you can help you react appropriately (or inappropriately) in the real world as well. Take your custom T shirt old school by getting a print of one of the world’s first internet cats. 13 years later, it’s hard to imagine there ever was a first. It feels as if internet cats have always been with us. But ceiling cat was one of the originals. And that image of a cat creepily peering out of a hole in the ceiling would look perfect on a T shirt. Ancient Greece had Socrates. 18th century Europe had Immanuel Kant. We have Philosoraptor—well, we do still have human philosophers but they don’t seem to command our attention as well as that dinosaur does. He is famous for pondering the biggest and most important questions in our lives like “Why do we bake cookies and cook bacon?” Put your favorite philosophical riddle on a T shirt and let the conversation starter work its magic. He’s been around for over a decade now and some people are so committed to the gimmick they have successfully fought for the right to wear pasta strainers on their head in accordance with the religion. Show your faith by getting his image printed on a T shirt. It’s probably not a sin but you may want to check with other pastafarians first. Hipster Cat is a classic, of course, but there’s just something about that scrunched brow on Ariel as she wears those oversized (probably lens free) glasses. She appeared in 2009 as a satire on hipster attitudes and life choices. Get your favorite hipster quote and Ariel’s fantastic hipster image printed on a shirt to be displayed proudly whenever you encounter a man bun or a handlebar mustache. Hollywood’s charming blend of bad boy and sweetheart stole our hearts and minds in 2008 with the “Hey Girl” quotes in which Ryan Gosling perfectly says exactly what every girl wants to hear. Get his dreamy face and his perfect way with words printed on a T shirt so you have him with you always. 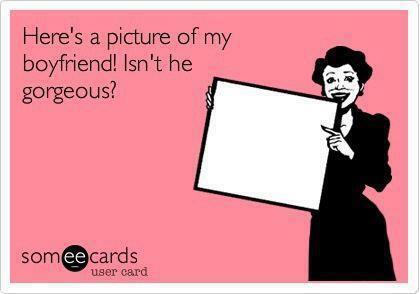 Face it, at some point in life, we all need a little advice from our friends. Of course, that doesn’t mean we always follow the advice—and sometimes it is much better if we don’t follow it. That is definitely true of advice dog who became famous for giving questionable advice. Get him printed on your T shirt and whenever you’re feeling lost or confused, just look in a mirror and know that there is at least one piece of advice you know for sure you shouldn’t take. These are an oldie but goodie that actually started way back in 1998 when Despair Inc started making mock motivational posters. Like, actually printing full size mock motivational posters like those you might find in an office. Pick your favorite or make your own to get printed on a T shirt and become a walking Demotivational poster. The world will thank you. Maybe. Probably not. But still, you’ll have fun. Another classic that will totally prove your meme cred—and your obsession with the internet—is the ‘Bert is Evil’ meme. This was a trend in which Bert from Sesame Street was photoshopped in his pinstripe suit standing next to infamous figures like Osama bin Laden or standing in front of famous disaster scenes, proudly looking as if he had orchestrated it. This would be a great classic meme to put on a shirt. There is just so much potential. This adorable little squish faced bulldog riding a skateboard is the absolute picture of hope, aspiration, and success. This is a dog who is truly living his bliss. Get him printed on a shirt and whenever you feel like you’re lacking motivation or you fear failure, just look at him and know that your dreams, too, are possible! We have all that secret part of ourselves that wants to conquer the world, or at least all of its base. Printing this quote on a T shirt is the perfect way to be totally ready for when that moment finally comes. 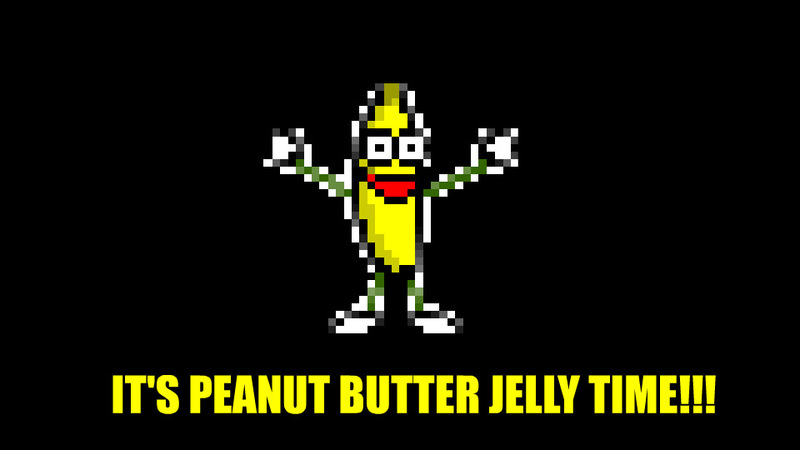 The epitome of funny and annoying, this dancing banana who, inexplicably, sings about peanut butter and jelly sandwiches was another one of the original internet memes. He appeared in all his glory in 2001. Keep it old school by getting his cheerful, yellow figure printed on a shirt. It doesn’t have to be peanut butter jelly time. It can be any time you want! Pair the quote with the image of Minaj’s beautifully attitude filled facial expression while she said it and you’ve got yourself the perfect shirt for when you just aren’t going to let that mess slide anymore. In 2015, LA Lakers team member, Nick Young, was seen making what was probably the most perfectly exaggerated “huh?” face that the world will ever see. That image is now the perfect way to express surprise, disbelief, or general befuddlement. It would make the perfect T shirt for responding to the many befuddling moments in our lives. We know what the attempted subtlety of an invite for “Netflix and chill” really means. But the internet has done magical things with the combination of the quote “when he says ‘Netflix and chill’” and a perfect facial expression. 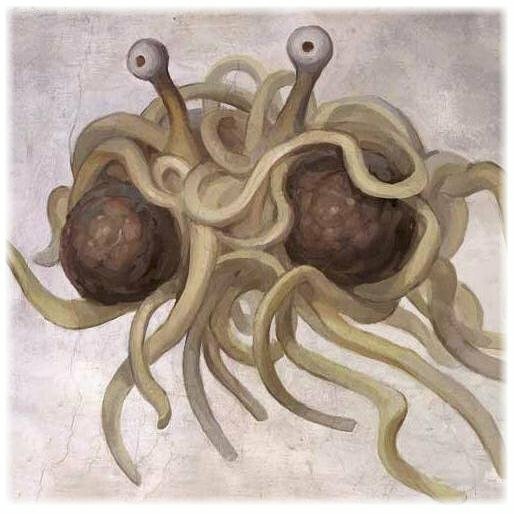 For fans (or followers) of the Flying Spaghetti Monster or anyone else who can find humor in the Pope, this is the meme that needs to be on your shirt. 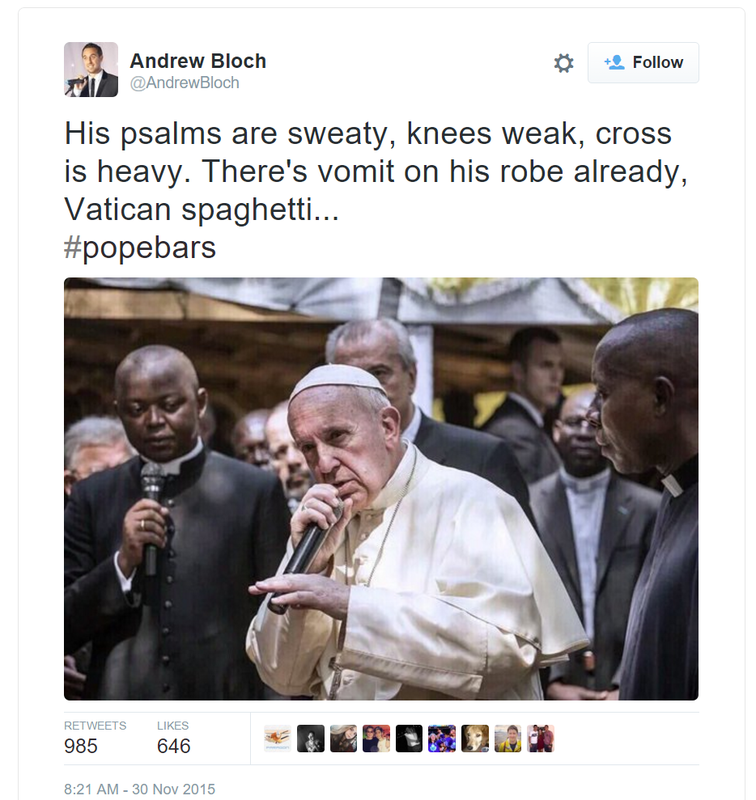 In 2015, the pope was photographed in a pose that clearly looks like he’s rapping along with another microphone holder who looks like he could be the Pope’s rap battle opponent. Get just the Pope or the pair of them on a shirt and represent next time you find yourself in a rap battle. Let’s face it, we can’t all be smooth talkers who handle any social situation with complete and utter grace and finesse. Sometimes, we have our awkward moments. Awkward Penguin understands. Show your sympathy for others (or yourself) by printing a custom Awkward Penguin shirt that you can wear to parties or any time you expect to encounter other humans. Insanity wolf is basically what happens when Advice dog goes rogue or takes a whole bunch of drugs. His advice is not only bad, some of it may get you arrested. That makes him the perfect meme to put on a shirt for those days when you really just do not want to deal with anyone and make sure that you give absolutely no impression that you might be the person to ask for advice or a favor. 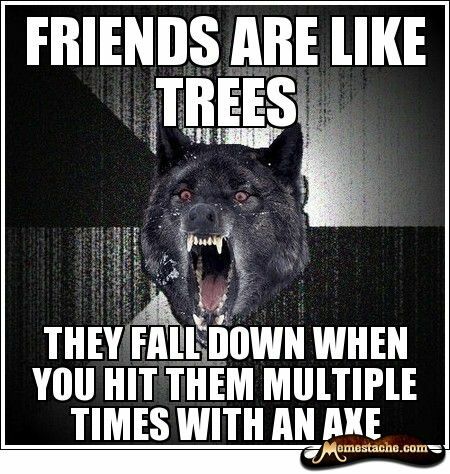 Insanity wolf gets pretty violent. But baby insanity wolf combines rude advice with adorableness. Beyond adorably rude advice, the puppy version is also known for making adorably bad mistakes that we have probably all done ourselves. In short, he is adorable but still a pretty terrible influence. So on those days when you’re feeling like you’re somewhere between insanity wolf and a functioning human being, this is the meme for your T shirt. You may have heard of the show “Ancient Aliens” featuring the alien expert with the hairdo that seems to be perpetually in the process of being abducted. Well, he turned into a meme that has been used to explain anything that cannot be explained and even things that can be explained. Get this meme on a custom T shirt and you will always have the answer to all of life’s mysteries. If someone asks you a question you can’t answer, kindly point them in the direction of your shirt. Aliens. A few years ago, some snapped a picture of Leonardo DiCaprio strolling cheerfully down the street. The image immediately went meme status because it just perfectly represented that carefree “I’m on top of the world” attitude. This variation of the meme with Happy Leo cheerfully marching in front of the SS would make an awesome T shirt. But even happy Leo by himself on the front of your shirt would be a great item to own. Whenever you wake up feeling like you’re going to own this day, seal the deal by putting on your happy Leo shirt. 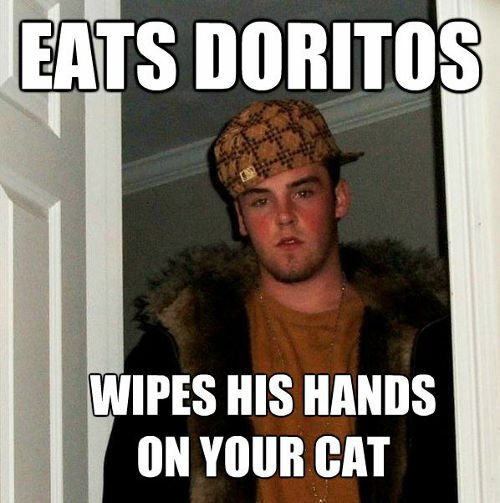 Scumbag Steve is the inconsiderate roommate, friend, or cousin that is constantly making your life difficult. His exact opposite is Good Guy Greg, the friendly stoner who goes out of his way to make your life better. Why not get both of them printed on one shirt? It would be sort of like the modern day internet version of the angel and devil sitting on your shoulders. In every life, there are a few days that just seem to never work out. No matter how hard you try, things just go terribly wrong. It’s almost as if the universe has decided to specifically mess with you. 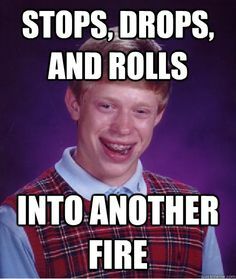 Fortunately, this doesn’t happen every single day but for those days when you just seem to be completely out of luck, you can just roll with the punches until it’s over by wearing your custom Bad Luck Brian T shirt. 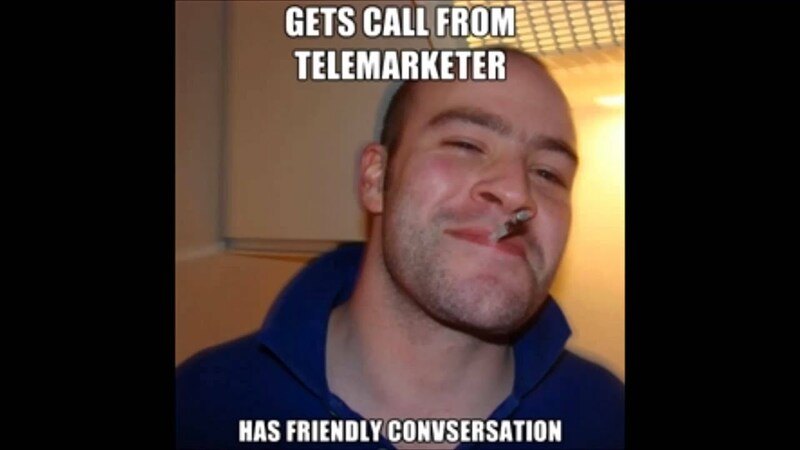 If you have ever been on the internet before today, you are probably familiar with at least a couple of these memes. But there are so many that there are probably some you thought of that didn’t make our list. Luckily, with custom T shirts, you can get any meme you want on a T shirt and make your favorite pieces of the internet into wearable fashion!